A boring restaurant menu is like a blank canvas that fails to catch your customer’s eyes! Several restaurant owners pay little or no attention to how their menu looks like. For them, it is just a list that the customers look at and order food from, but there is more to it. Compelling restaurant menu descriptions help you upsell the food by themselves. Your restaurant menu descriptions should be written in such a manner that they entice customers to order more and upsell the high-profit items. According to Statista, in the US, mentioning the name of exotic fruits and rare herbs in your menu can increase the chances of sales by fifty-two and sixty-one percent respectively. 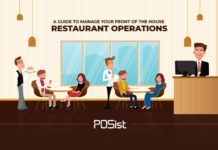 Anyone who walks into your restaurant interacts with your restaurant menu first. Therefore it is vital for even your restaurant menu description to reflect your restaurant’s style. We have mentioned some of the key points you can keep in mind while describing the menu items. While describing the menu items, you need to ensure that the restaurant menu descriptions are not too wordy. After all, Americans are tired of long and clunky restaurant menus! The description needs to be concise and catchy. Use words that are vivid and enticing, use adjectives that evoke a mouth-watering sensation. They should be short, yet be able to explain what the customers can expect out of the dish. Short descriptions are easy to read through and would encourage people to order more food. Long description can confuse people, and they might not request a particular dish just because they didn’t feel like reading through the entire description. For example, Instead of just writing “chocolate pudding” you can describe it as “Belgium chocolate pudding, served with thick caramel sauce.” It is a short, yet an impactful description which makes the pudding sound gourmet and will entice your customers to order it. If we look at the dinner menu on the website of Le CouCou, a fine dining restaurant in New York, you can see how well they have described each dish using fancy terms, yet kept it short. They have highlighted the exotic fruits or vegetables they use. This is an excellent way of letting your customers know what they can expect from the dish. Give your guests a visual treat, along with a catchy description. A high-quality image that clearly shows the color, texture, etc. of a dish will help instigate the visual senses of your guests and encourage them to order more. However, do not go overboard while adding pictures. It can make your menu look clustered, instead, add photos of your best selling items or the ones you wish to upsell. This is a proper marketing technique since you are highlighting the things that can get you more profit and boost the sales. Your restaurant menu descriptions should entice the customers and trigger their senses. Use tantalizing terms like, “savory,” “refreshing,” and “fiery,”. Using simply savory terms gives your guests a taste of the food even before they order something from the restaurant menu. A clear picture along with these adjectives will work in your favor and entice customers to order more. Restaurant menu descriptions are all about playing with the psychology of your guests and tempting them into ordering more. Seriously, you need to drop that dollar sign to sell more! A recent study by CIA showed if the dollar sign was used in the menu pricing guests are more likely to order the least expensive item. Having a dollar sign before the price would keep reminding people that they are spending money! Ditch the old school way of mentioning the prices on one side of the menu. Instead, consider writing the amount after the dish description in the same font. Doing this will ensure your guests’ eyes glide right over without emphasizing on the price. This is an excellent way of encouraging people to spend more without worrying about the dollars they are splurging. Using fancy language is a good way of playing around with your guests’ psychology, especially if you own a fine dining restaurant. Using decorative words makes your customers feel like they are paying less for something unusual which gives them a sense of satisfaction and also makes your customers’ think that the food tastes better. This tempts the customers and will entice them to return to try the other dishes as well. But, make sure you do not use heavy words that might confuse the customers, keep it simple yet fancy! 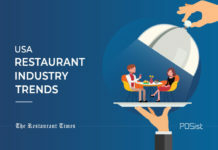 The restaurant menu is the highlight of any restaurant; therefore you should have a well-written menu that would lure your customers into spending more. The restaurant menu is simply not a list from where your customers decide what they want to eat; rather it plays a vital role in manipulating your guests’ mind and having them order more. The flavor of any food is what most customers focus on when they are deciding what to eat. How to present the dishes on the menu can help build anticipation, and a good menu description could even convince a hesitant customer to try something new. With this in mind, it’s important to be precise and thorough when choosing words to describe your food’s flavor. The article above is very well explained and analyzed. Good Read.